ATLANTA, Ga.— It has been a weird week revolving around the programs of Alabama and Georgia. The Crimson Tide are trying to prepare for the SEC Championship Game and possibly run to the College Football Playoff, while the Bulldogs are just trying to get their head coach inside the Butts-Mehre Building. Kirby Smart to Georgia is still just a report right now. It won’t be official until he appears for his introductory press conference. So, the media found an easier way to ask Saban questions about Smart on Friday during his SEC Championship coaches press conference. During this time you could hear in Saban’s voice that Smart means a lot to him and he thinks very highly of his coaching acumen. Smart has been with Saban all the way since 2004, when he joined Saban as his defensive backs coach at LSU. Then, he rejoined Saban in Miami in 2006 with the Dolphins, after coaching a year at Georgia. 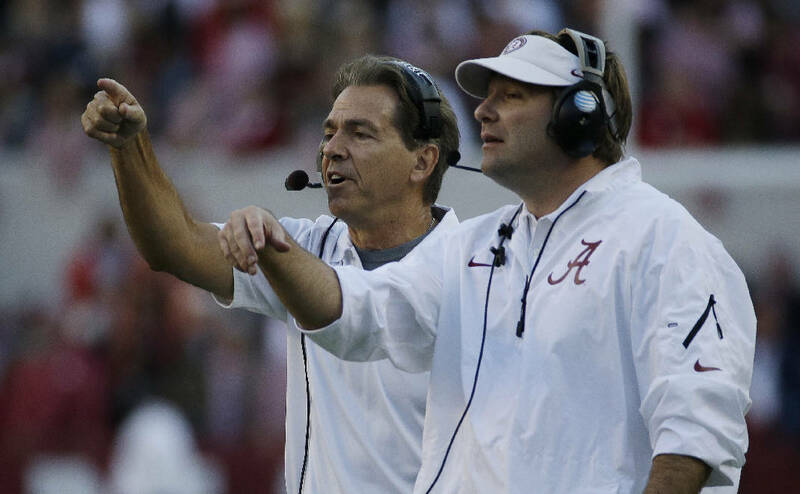 Since 2007, Smart has been with Saban at Alabama. Saban elaborated a little more in regards to what Smart and all of his coaches mean to him, by talking about the family aspect of coaching. Smart has helped Saban build the program into what it is today. He’s been lauded for his recruiting abilities to help them bring in top tier classes every year. His defense’s have finished no lower than 12th nationally, since he took over as defensive coordinator in 2008. Smart won the Broyles Award for the top assistant coach in college football for the 2009 season. He was the AFCA Assistant Coach of the Year in 2012. When you have accomplishments like this… You can understand why his boss is so high on him. “We’ve worked together for a long, long time,” Saban said. “He’s as good an assistant coach and as loyal an assistant coach as I’ve ever had on my staff. That is pretty high praise from Saban. So, we can all understand why people are excited about him possibly taking over at Georgia.